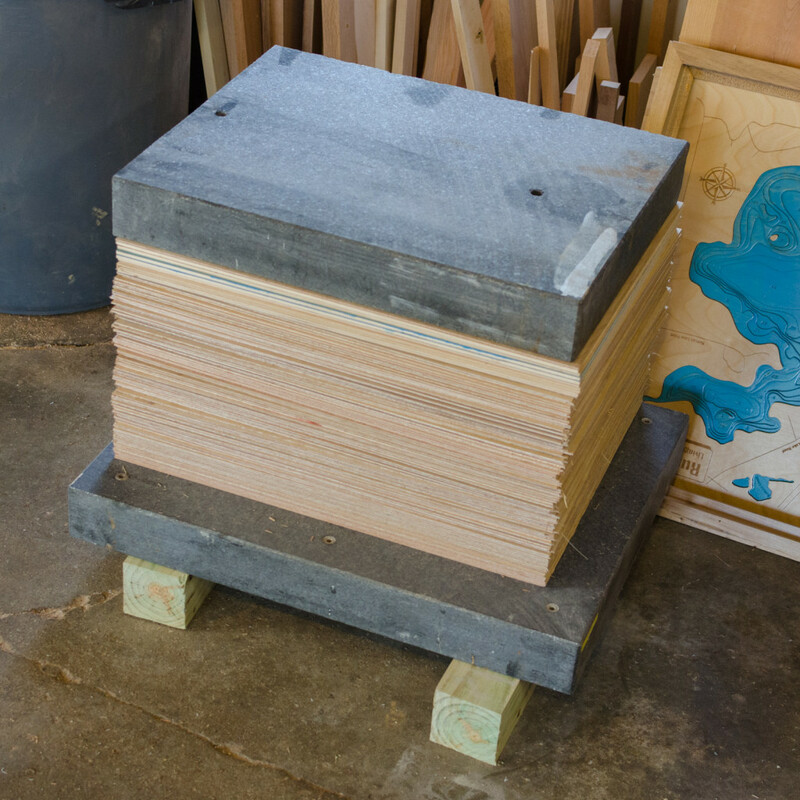 The plywood storage issue was solved in an almost disappointingly simple fashion. My neighbor runs a CMM service business (coordinate measuring machines: Wikipedia) and they have ultra-flat granite blocks left over from old machines. These blocks range in size from 18x24x3 inch blocks (seen below at about 128 lbs (58 kg)) to 16 feet long and 30,000 lbs (13,575 kg). These machines measure in the micron range (and occasionally sub-micron) so they need an ultra-flat, uniform reference plane, granite fits the bill. Apparently cast-iron was the original material of choice but faced severe restrictions in the World War era and was replaced with granite, which has been the standard ever since. In any case, I am able to obtain these blocks at no cost and they do a great job of keeping things flat. The least accurate stones are flat to within 0.001 inches and many are better! If I’m able to move them there are several large pieces that will make great work tables, we’ll see . . .